How and where are you publishing your content? In other words, have you considered delivery media and format before you started creating your blog posts, your images and your videos? It’s not enough any more to just make a decision on the topic of whatever it is that you are publishing. You’ve got to start by identifying the format that your target audience tends to prefer, and the delivery media they’re used to. What form should your content be delivered in – text, images, video, infographics, something else? More importantly, why? And where should you publish it? Social websites? Social apps? Will you be focusing on desktop or mobile? How do you make these decisions? These are very important questions to ask yourself, to ensure your content will reach the right people. To do that, you’ve got to get rid of your old habits and your own preconceptions, and make sure you’re always up to date with the current trends and latest developments in the content universe. Do you know anyone who doesn’t use a smartphone? I don’t – okay, except for my grandparents, but they barely use a phone at all, anyway. Now, I don’t want to bore you with the usual statistics and theories – you probably already know that nowadays more people surf the web on tablets and smartphones than desktop computers or laptops, more mobile devices than computers are being sold every year, etc. Instead, I would like to show you some real examples. What I often do to make sure I’m on top of trends is use every bit of information and feedback that I have, to reach meaningful conclusions about my audience’s behaviour. You can use Google Analytics, Facebook Ads reporting, or any other tool that gives you detailed audience behaviour data. Whatever works for you. For me one of the the main sources of data is Facebook, as I’m lucky enough to be running multiple campaigns on behalf of clients at any given time. The insights that you get from Facebook’s reporting tools are a real eye opener. In the past year or so, the increase in the use of mobile devices globally has been spectacular. In the example above, the same piece of content is targeted on Facebook separately to mobile and desktop users who belong to the exact same audience. It becomes obvious that people are responding better on mobile devices, both in terms of engagement (clickthrough rate or CTR in this example), and in terms of conversions (Result Rate), which means that eventually you pay less for results (Cost column). People generally tend to behave like that in different countries and in different circumstances, which means that mobile is undoubtedly where your focus should be right now. This is also illustrated in the example below, a different campaign for an e-shop that is primarily aimed at sales, where people using Facebook on mobile devices respond better, buy 3 times as much, and cost less to the company who is advertising than those surfing on their computer. Digging a bit more into this data can make you reconsider a number of assumptions, such as the notion that people over 60 don’t use mobile devices as much. Oh, they do – and they prefer to buy stuff using their tablet too! Forget about optimising your website, your e-shop or your blog for mobile devices. Forget about making it responsive, so your desktop-oriented website adjusts to smaller screens. Instead, design your website for mobile first. That’s what we do with our clients at Malvi, and the results have been staggering. The world will soon turn mobile-only, so we’d better get used to this concept. In the near future, desktop will become a thing of the past as far as browsing the web is concerned, and you definitely don’t want to be the owner of a dinosaur website that thought it was going to live on computers and doesn’t know how to adjust to the mobile reality. No matter what your industry or niche is, you should design your website by considering primarily tablet and smartphone users. It’s a well-known rule, for example, that you should keep your paragraphs as short as you can when writing text that people are going to read on a screen. Things like that become even more important now, because even your shortest paragraphs seem quite a bit longer on narrow smartphone screens. Also, pop-ups, slide-in forms and messages on top of blog posts become more annoying on mobile devices, as they take up most of the space on the screen. Even worse, very often they’re very hard to get rid of, because of a poorly designed interface. Make sure you use these tools wisely, and you optimise them for use on mobile browsers and small screens. Content marketing and Facebook advertising are inseparable. When using Facebook’s advertising platform to deliver your content, always split test. Make sure you deliver and optimise separately for mobile, desktop and Instagram (for image-based content). And if it looks like people are responding better on mobile, don’t be surprised, because they probably will be. It’s okay to turn off your desktop-targeted ad sets. And don’t be afraid to put your budget wherever people engage with your content the most, it will save you money. Do you know anyone who doesn’t record videos with their smartphone and doesn’t put them online? I don’t. Indeed, the younger the individual, the more likely it is that the videos they upload to various video-oriented platforms are selfies. 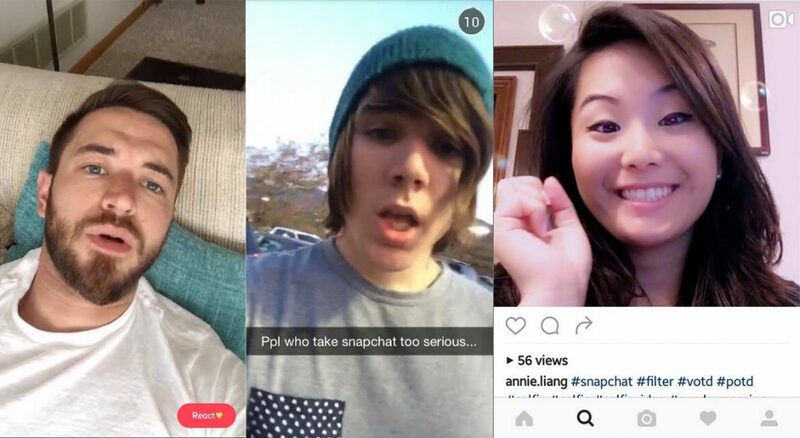 By observing younger users, and especially teenagers, you can identify the hottest trends online at any given time – and teenagers right now are posting video selfies like mad. You may be thinking Youtube and Facebook, and you are quite right, but don’t forget Instagram video, and stories – on Facebook, Instagram and Messenger. Also, how about Snapchat? You should get over the reluctance to show your face online. I know, you’re thinking something along the lines of “people will see my face and will know who I am”. But that happens every day in real life, doesn’t it? I don’t suppose you hide your face when you interact with others socially, do you? I really hope you don’t actually. The future is definitely away from corporate or strictly branded communication, and is moving rapidly towards a complete alignment of our digital presence with our real life. People have already started to act and behave on the internet like they normally do in their offline social life, with no filtering or anything else in between. Anything you do that’s more corporate than personal now tends to go completely unnoticed. It doesn’t matter if your audience isn’t teenagers. They start the trends, and the rest of us adopt them over time. Think about our parents going on Facebook because they saw us doing it, and gradually moving to Instagram and Messenger. Older generations always imitate the younger ones, so things like video selfies that may now seem a bit unusual to some of us, will soon be mainstream. Whether we like it or not, Facebook is one of the most popular social platforms right now, and it’s not going away any time soon. On the contrary, they are developing new tools that aim to keep Facebook in the front line as a content-oriented social website. By making live video available to pages, live broadcasting is now a tap away on your phone. With instant articles loading up to 10 times faster than the mobile web, the distance between your newsfeed and the content that you’re after has been minimised. 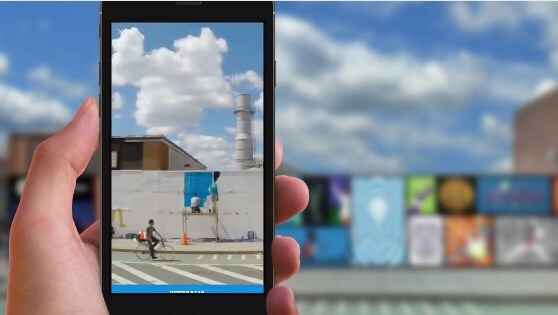 With Canvas (see image below), Facebook provides a full-screen, native mobile environment to help companies deliver an immersive content experience through storytelling. New developments are also coming up with Facebook ads, such as delivering dynamic ads on Instagram and even more flexible custom audiences (for example, the ability to find people that are similar to your website’s visitors, based on parameters such as visiting frequency and device). 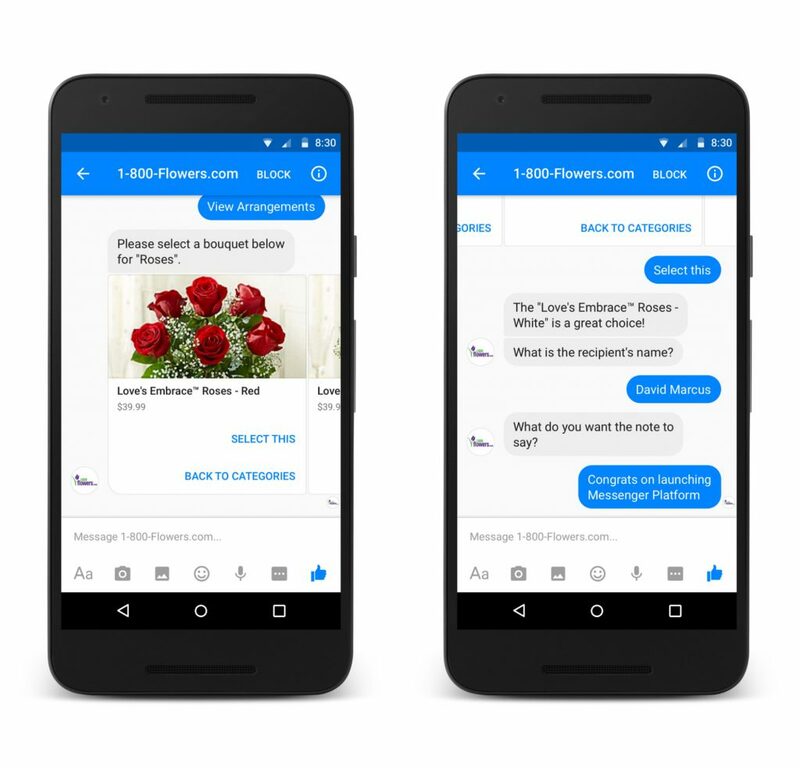 I hope you’re not forgetting about chatbots, that take interactive content delivery to a whole different level by bringing information to the user’s Messenger window. Facebook’s content delivery mechanisms (among other things) should be one of your primary concerns when planning your content strategy. Depending on your plan, the characteristics of your audience and your specific goals, these tools can boost your engagement rate, the efficiency of your customer care, and your customer loyalty beyond imagination. When we think about content, we usually tend to start by deciding between blogging, in the form of text, image-based posts, and videos that will be posted on YouTube, and that’s pretty much as far as most people go when making decisions on content creation. From now on, try a slightly different approach: When you say or think of the word “content”, try to imagine the everyday life and the habits of the people you are trying to reach. What are their needs and through what channels are they looking to satisfy them online? Where are they on the internet? How are they using it? Then make decisions on creating your content depending on how these people interact with each other, and through which media. Can you meet their needs by chatting on Messenger? People are increasingly using it to reach out to companies and ask for information on products and services. Maybe you can solve their problem through short videos where you provide answers and deliver them directly to their smartphone or by streaming live video on Facebook. And, in any case, take your mind off the bigger screens and make sure that all your online assets are designed and built to thrive in the mobile world. Things change, and we’ve got to evolve constantly if we don’t want to be left behind. Think about what format and what media are relevant to your audience now, not six months ago. That’s what is going to bring results: putting your content in context for your customers.